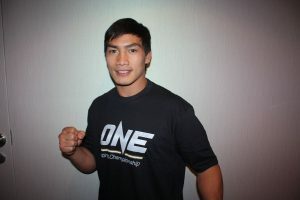 MATATAG ang ipinakitang laban ni Team Lakay Eduard ‘The Landslide’ Folayang upang makabalik at maiangat ang career sa ONE Championship kontra sa walang talong si Kharun ‘The Predator’ Atlangeriev sa ONE: Unstoppable Dreams, Singapore Indoor Stadium, kamakailan. Tinalo ni Filipino Mixed Martial Arts (MMA) Folayang si Atlangeriev ng Russia, kung saan nakuha ng 33-anyos na Baguio native ang unanimous decision kontra sa Russian fighter. Ito ang unang laban ni Folayang matapos na matalo kay Martin Nguyen sa second round knockout na ginanap sa Manila. Dahil sa panalo ay may record itong 19 panalo at anim na talo. Sa main event ng ONE: Unstoppable Dreams, wagi sa ONE Women’s Atomweight World Championship si Angela Lee kontra kay Mei Yamaguchi sa Unanimous Decision (UD) matapos ang 5 rounds. Result ng laban sa bawat deivision: Super Series Muay Thai Flyweight World Championship bout: Sam-A Gaiyanghadao defeats Sergio Wielzen by Knockout (KO) at 2:47 minutes of round 4. Featherweight World Championship bout: Martin Nguyen defeats Christian Lee by Split Decision (SD) after 5 rounds; Super Series Kickboxing catchweight bout (72.5kg): Yodsanklai IWE Fairtex defeats Chris Ngimbi by Unanimous Decision (UD) after 3 rounds; Lightweight bout: Shinya Aoki defeats by Rasul Yakhyaev Submission (Triangle Choke) at 3:15 minutes of round 1; Lightweight bout: Eduard Folayang defeats Kharun Atlangeriev by Unanimous Decision (UD) after 3 rounds; Lightweight bout: Amir Khan defeats Sung Jong Lee by TKO (Strikes) at 3:39 minutes of round 2. ONE Super Series Muay Thai flyweight bout: Singtongnoi Por Telakun defeats Joseph Lasiri by TKO (Strikes) at 2:36 minutes of round 2; Featherweight bout: Xie Chao defeats Meas Meul TKO (Strikes) at 1:10 minutes of round 3; Bantamweight bout: Xie Bin defeats Huang Shi Hao by TKO (Corner Stoppage) at 2:26 minutes of round 2; Bantamweight bout: Sunoto defeats Roel Rosauro by Unanimous Decision (UD) after 3 rounds.